The Native American lands of the United States are home to large coal reserves, coal mining, and coal plants. As a result, the indigenous people of these lands deal disproportionately with the environmental hazards of the coal industry. The common challenges of land and resource development are exacerbated by the poor economic situation of many of the tribes, which raises questions of environmental justice and indigenous sovereignty. The development of coal resources on Native American lands has been guided in part by the treaties between the federal government and native tribes. In the past, the Bureau of Indian Affairs (BIA) arranged and managed coal development land leases. However now many tribes prefer autonomous management of their coal resources, and some have taken legal action against the government to cancel the federally administrated leases, for example, the Northern Cheyenne in 1973. Mining and burning coal have a unique impact on Native American lands and people due to the specific socio-economic and cultural situation. Significant poverty often influences the choice to develop coal resources, yet because of the special relationship the tribes have to the land as sacred, there is also often deep resistance to development and the resulting damage and pollution to the land and people. There are few social services on many reservations and development often strains the infrastructure, while bringing in a population of workers culturally different from the indigenous population. Although there has been an historical tendency for environmentalists to esteem the traditional land ethics of indigenous people, and tribal lands have been the sites of some of the most protracted battles against coal development, tribal support for the development of natural resources on their lands has also led to conflict within tribes and between some tribes and environmental groups. The Four Corners Steam Plant, one of the largest coal-fired generating stations in the United States, is located on Navajo land in Fruitland, New Mexico. The plant’s five units generate 2,040 megawatts of electricity and are operated by Arizona Public Service Company, which serves about 300,000 homes in New Mexico, Arizona, California, and Texas. As many as 18,000 homes on the Navajo Nation are completely off the grid despite the presence of nearby coal-fired power plants. According to the American Lung Association, the following people in San Juan County are at elevated risk from power plant pollution: 2,885 people with pediatric asthma, 8,442 with adult asthma, 5,219 with COPD, 9,418 with diabetes, 6,607 with cardiovascular disease, 15,612 who are 65 and older, and 27,265 with low incomes. The ALA states that although "[d]angerous levels of air pollution can harm everyone, even healthy adults," those in high-risk categories are particularly vulnerable. Each year the plant emits 157 million pounds of sulfur dioxide, 122 million pounds of nitrogen oxides, 8 million pounds of soot and 2,000 pounds of mercury. In addition to air pollution, waste from the coal mines supporting the Four Corners and San Juan plants has contaminated the water with sulfates, leading to the death of livestock. According to one source, 70 million tons of coal combustion waste (containing cadmium, selenium, arsenic, and lead) has been dumped in the Navajo Mine, and combined with the San Juan mine, amounts to a total of 150 million tons. In Utah, Deseret Power Electic Cooperative has proposed the Bonanza Power Plant addition, located on the Uintah and Ouray Indian reservations. The Bonanza Power Plant expansion project was the first coal plant to receive an Environmental Protection Agency permit following a Supreme Court ruling in April 2007 that allows the EPA to regulate greenhouse gases.. A number of groups (Western Resource Advocates, the Sierra Club, and Environmental Defense) have appealed the permit on the grounds that CO2 emissions were not considered. If constructed, the new plant would release 3.37 million tons of carbon dioxide, 1,028 tons of sulfur dioxide, 5, 692 tons of nitrous oxides, and 36 pounds of mercury per year. The Black Mesa region of Arizona, indigenous home of the Diné (Navajo) and Hopi peoples, is the location of the some of the largest coal deposits in the United States, with approximately 21 billion tons of coal and a long-term value as high as $100 billion. Peabody Western Coal Company began strip mining operations on Black Mesa in 1968, and at one time the mine was North America’s largest strip mining operation and site of the only operating long-distance coal slurrypipeline (owned by Southern Pacific). For thirty years, the Black Mesa coal mine fed the Mohave Generating Station, a power plant in Laughlin, Nevada, via the 273 mile long pipeline. 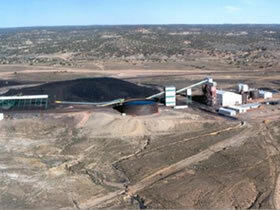 The second mine on Black Mesa is the Kayenta Mine, which supplies the Navajo Steam Generating Plant. The coal power generated from these two plants has powered Las Vegas, Los Angeles, Phoenix and other areas on the southwestern power grid for three decades. Royalties and taxes from the mines provided approximately 80 percent of the Hopi general operating budget and 60 percent of the Navajo general fund budget. 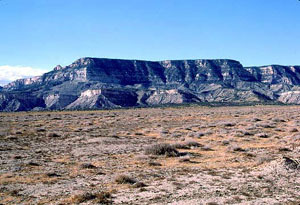 In April 2008, the federal Office of Surface Mining directed Black Mesa Pipeline Company to remove all traces of the former coal slurry pipeline, however studies are underway to find alternatives for Black Mesa coal and, in a possible indicator that discussions between the Navajo and Peabody Western Coal are underway, work on a Navajo Nation Black Mesa environmental impact statement has resumed. In April 2008, operators of the Absaloka Mine in southeastern Montana proposed to extend the mine 3,660 acres onto the neighboring Crow reservation. Approximately 77 million tons of coal would be recovered and mining would be extended until about 2023. Westmoreland Resources owns the land and the Crow tribe owns the coal. Royalty and coal production taxes bring substantial income to the tribe, for example in 2006, the tribe earned $16.6 million. The lands of the Northern Cheyenne tribe of southeastern Montana are surrounded by five large strip mines, Montana’s largest coal-fired power plant (Colstrip Steam Plant), and Montana’s only active drilling site for coalbed methane. The coal reserves under the reservation are some of the largest held by any tribe, estimated between 20 and 50 billion tons of low-sulfur coal. The Northern Cheyenne have a long history of successful resistance to outside development of their land. From 1966 to 1971 the tribal council signed leases with coal companies including Peabody Coal, Consolidated Coal, and Amax Coal. Acting as trustee for the tribe, the BIA failed to complete an environmental impact statement, sold the exploration rights for around $9 per acre and agreed to royalties for the tribe of only 17.5 cents per ton. The tribe successfully fought to have the leases cancelled, forced the corporations to pay about $10 million in damages and regained 7,000 acres of land that had been purchased for mining. For thirty years, the tribe fought the development of coal on the reservation, but the dire economic situation has led to increasing support for small-scale development in more recent times. As of 2003, 87 percent of Northern Cheyenne on the reservation were living in poverty, with a 65 percent unemployment rate and annual income of $4,479. Economic difficulties, and the attendant social problems, have driven many North Cheyenne off the reservation. On November 7, 2006, the tribe voted 664 to 572 in favor of developing coal on the reservation, and at the same time voted 365 to 841 against coalbed methane drilling. In February 2009, the Supreme Court agreed to hear a case brought by the Navajo Nation against the U.S. government. The suit contends that the federal government breached its trust duties and deprived the tribe of up to $600 million in coal royalties. The U.S. government says the tribe's accusations are unsupported. The Supreme Court ruled in favor of the federal government in 2003, when it found that the Department of Interior had adhered to the Indian Mineral Leasing Act in protecting the tribe's interests. A later ruling by the U.S. Court of Appeals found that the Navajo Nation had the right to present its argument that U.S. had broken laws not considered by the Supreme Court, including the Surface Mining Control and Reclamation Act and the Navajo-Hopi Rehabilitation Act, and that the tribe thus was entitled to damages. The federal government appealed to the Supreme Court, arguing that the appeals court ruling should be overturned, because it contradicts the Supreme Court decision. On April 6, 2009, the Supreme Court again ruled against the Navajo Nation. In a unanimous opinion, the high court reversed overturned the earlier ruling by the U.S. Court of Appeals. Justice Antonin Scalia wrote, ""Today we hold, once again, that the tribe's claim for compensation fails. This matter should now be regarded as closed." 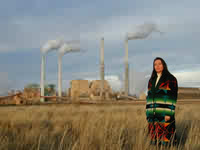 The placement of coal-fired plants in the impoverished communities living on native reservations, with little or no access to healthcare, is seen by some environmental justice advocates as “blatant environmental racism and injustice.” The primary beneficiaries of coal mining and power generation are often not the native tribes who live on the land being used. In the case of Black Mesa, 80 percent of Navajo people do not have running water and 50 percent of people on the Navajo and Hopi reservations do not have electricity despite the fact that transmission lines cross the reservations to deliver electricity to the southwest and California, and the water aquifer has been extensively tapped to supply to former coal slurry pipeline. Black Mesa Navajo Nicole Horseherder summed this up in a 2004 Los Angeles Times article, saying, “Somewhere far away from us, people have no understanding that their demand for cheap electricity, air conditioning and lights 24 hours a day have contributed to the imbalance of this very delicate place.”In addition, the development of natural resources on tribal lands does not always lead to better living conditions due to low royalties, unbalanced contracts with outside corporations and the federal government, and tribal mismanagement. Environmental justice advocates also argue that the consequences of climate change disproportionately affect poor and indigenous people. In the United States, for example, they point to the thinning of the ice in Alaska, the displacement of communities on the Arctic coast due to rising sea levels, loss of fish populations due to warmer water temperatures in the Great Lakes region, and the threat of increased weather events such as blizzards and droughts to many of the primarily agricultural economies of the tribes of the Great Plains region. The Just Transition Coalition (JTC) was created to address the economic impact on the Navajo and Hopi tribal communities affected by the 2005 closure of the Mohave Generating Stationin Laughlin, Nevada. The coalition includes the Indigenous Environmental Network, Honor the Earth Foundation, Apollo Alliance, Black Mesa Water Coalition, To'Nizhoni Ani, Grand Canyon Trust, and the Sierra Club. The coalition has proposed that annual revenues from the sale of pollution credits from the Mohave plant be reinvested in renewable energy on tribal lands, such as wind and solar plants, as well as be used to help offset the economic burden of lost coal royalties and jobs. In the time since the Mohave plant closed, majority owner Southern California Edison (SCE) has accrued pollution allowances estimated at $30 million annually, which can be sold under the U.S. Acid Rain Program. On January 11, 2006, the JTC filed a motion with the California Public Utilities Commission (CPUC) for a “Just Transition” in response to the economic impact of the closure of the Mohave Generating Station. The coalition proposed to direct 30 percent of the pollution credit proceeds to local villages and chapters to invest in solar, wind, and ecotourism, 10 percent for job retraining, 40 percent in alternative energy development and production, and 20 percent to tribal governments to help sustain programs cut due to loss of royalty income. In a series of unprecedented decisions favoring the interests of the JTC, the CPUC ordered SCE to place proceeds from the sale of its sulfur dioxide allowances into a special account to be used to fund renewable energy investment opportunities for the Hopi and Navajo, and rejected the company's argument that proceeds from these sales should go to ratepayers. The CPUC also requested proposals from the JTC regarding the use of the proceeds and scheduled a mediation seeking a mutual decision between interested parties. Despite the important role of native lands in U.S. energy resources, Native American tribes are not allowed to receive any federal tax incentives for renewable energy development due to their tax-exempt status. Companies seeking to develop renewable energy resources are therefore dissuaded from teaming with native tribes since they will not receive full tax credits. According to the U.S. Department of Energy, the two dozen native reservations of the northern Great Plains have a wind power potential equal to 50 percent of the installed electrical generation capacity in the United States. On September 28, 2009, the Hopi Tribal Council adopted a resolution banning environmental groups from their reservation. According to tribal spokeswoman Tina May, conservation groups threaten the economy of the Hopi by fighting to close Navajo Generating Station, a coal-fired power plant near Page, Arizona. The Council also blames environmental groups for the revenue loss from the closure of the Mohave Generating Station, which used coal exclusively from the Peabody operated Black Mesa coal mine. On October 1, Navajo Nation president Joe Shirley issued a statement in support of the Hopi council resolution and criticized the fight by environmentalists against Desert Rock Energy Project. In response, other tribal leaders have spoken out in disagreement, claiming that the Hopi Tribal Council has been taken over by pro-Peabody legislators. Vernon Masayesva, director of the Black Mesa Trust and former Hopi Chairman has stated that "The real story on Hopiland, that is yet to be revealed, is the take-over of the government by pro-Peabody legislators with the support of their legal counsel, Scott Canty, and the ensuing corruption and abuse of power by an illegally constituted Council." Masayesva added, "To be a Hopi is to be a conservationist, a caretaker and a steward of planet earth. So, by implication, the Council has banned all Hopi people from their land." Former Hopi Chairman Ben Nuvamsa asserted the illegality of the Hopi Tribal Council's ban: "For the record, Indian tribes have no jurisdiction over non-Indians on reservation lands (see Oliphant v. Suquamish). On the Hopi Reservation, only the Tribal Chairman has the authority to sign an exclusion order under Tribal Ordinance 46. So without a Tribal Chairman, no one can sign such an order. Without meeting these requirements, the resolution passed by this group is nothing more than a mean-spirited statement.”  In a statement released September 28,the Sierra Club responded, "Sierra Club has been invited to work with many Hopi individuals and groups ... who want to stop global warming and protect the environment and feel that Peabody's coal operations on Black Mesa is a direct threat to sacred Hopi springs." ↑ "Navajo Generating Station blamed for haze over Grand Canyon, respiratory illnesses" David O. Williams, Colorado Independent, September 16, 2011. ↑ Desert Rock Energy Project, Sithe Global Power official site. 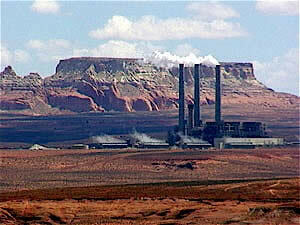 ↑ 35.0 35.1 "Navajo coal royalty case heads to Supreme Court," Associated Press, February 23, 2009. ↑ "Court rules against Navajo Nation in coal case," Associated Press, April 6, 2009. ↑ Lawsuit Seeks Release of Public Records for Peabody Coal Operations on Tribal Lands in Arizona, Center for Biological Diversity Press Release, Common Dreams website, October 5, 2010. ↑ "Navajos assail environmentalists" Dennis Wagner, The Arizona Republic, October 1, 2009. ↑ “Navajo, Hopi stand in opposition to environmental groups, George Hardeen, Native American Times, October 6, 2009. ↑ “A new dirty low for Peabody,” Brenda Norrell, Counterpunch, October 5, 2009. ↑ “Hopi Tribal Council bans environmental groups,” Navajo-Hopi Observer, September 30, 2009. This page was last edited on 13 May 2015, at 17:39.